2 Beds | 2 Baths | 1,869 Sqft Disagree? Experience easy living in this elegantly understated, light and bright, Majesty model, 2BR/2BA plus den, open concept condo perfect for entertaining. Home features include: updated kitchen, with contemporary cabinets, and all newer appliances, newer A/C system and Dryer, hurricane shutters, a spacious master suite, with built in office, beautiful lake views, and updated master bath with quartz counter tops and spa tub. The Clubhouse has a full service cafe, a State of the Art Theater, fitness center, indoor pool, and over 50 clubs to choose from. 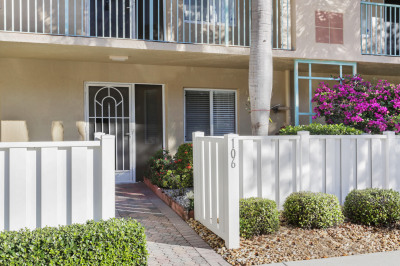 This beautiful condo has assigned parking at your front door, is walking distance to the pool, tennis, and pickle ball. It is ideal for both full time and seasonal living and is just minutes away from 95,the Turnpike, shopping, and fine dining.